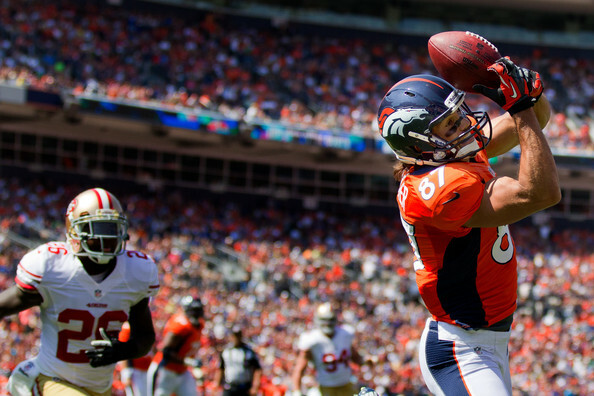 We're onto the divisional round of the NFL playoffs & the two Saturday games are previewed here as Denver & San Francisco look to home field advantage & a rested squad whilst Baltimore & Green Bay look to carry the momentum of their wins last week. In last week's matches we were just middling, getting the Bengals @ Texans unders & Baltimore to win HT/FT fairly easily but having quarterback injury let us down in the other games (Christian Ponder & RGIII), hopefully injuries won't be as key in this week's games. These two sides meet again after facing off in week 15, in that game Denver basically humiliated Baltimore in their own stadium going up 34-3 in the 4th quarter before the Ravens responded with 10 consolation points late on - this will be even tougher as the Ravens try to overcome the Broncos at Mile High Stadium. The Broncos now have outright favouritism for the Super Bowl with most firms & it's easy to see why as they've had a tremendous run winning their final 11 games, often impressively, after losing 3 of their first 5, admittedly to some very smart opponents. Peyton Manning has conclusively proved any doubters wrong, showing that he is fully recovered from the major surgery undertaken last year, now including the arm strength that understandably took a couple of games to get back. This is a side that got to the playoffs in 2011 (& won a game!) with Tim Tebow under centre - to have one of the very best quarterbacks of all time instead it now seems blindingly obvious that we should all have been backing Denver at the start of the season! The Broncos match up their outstanding quarterback play with some explosive defense that ranks 2nd overall in yards conceded per game & is outstanding against both the run & pass (ranking 3rd against each). They have great players through the defense with Champ Bailey one of the all time great cornerbacks, Von Miller is arguably the best defender in the league & Elvis Dumervil is a great defensive end, they look sure to be able to deal with anything the Ravens throw at them. We were keen on the Ravens to beat Indianapolis last week but that was because the Colts were some way short of being as good as their win record suggested, this is a different proposition & it seems difficult to see how they'll keep pace with a team they were so outplayed by just a month ago. It looks like they will be prepared to throw some bombs downfield though if last week's game is anything to go by where Anquan Boldin gained 145 receiving yards, all coming in the 2nd half of the game, those deep passes are what Joe Flacco does best as he undeniably has a strong arm although he could look instead to the younger Torrey Smith this time. The Ravens' vaunted defense hasn't been as strong this year, with injuries & the ravages of age taking their toll, this looks likely to be legendary linebacker Ray Lewis's final game, he did well on comeback last week but may feel the effects of being out from week 6 onwards in this game. Ray Rice & young backup running back Bernard Pierce may be in the game plan to begin with but if the Ravens fall behind they'll be forced to pass & we can see Flacco getting sacked & throwing multiple interceptions as the Broncos force home a crushing win. Take Denver with -9 points to win this game, they beat the Ravens by 17 in Baltimore & can at least match that here. Looking at the touchdown scorers it looks like Broncos receiver Eric Decker is overpriced at 8/1 to get the first TD, he's their leading touchdown scorer with 13 & bagged himself 5 in the last 3 games so is red hot at the moment. This game is a rematch of these two teams first game of the season but takes place at the 49ers' Candlestick Park rather than Green Bay's famous Lambeau Field, these are arguably the NFC's top two teams so promises to be a great contest. The 49ers reached the NFC Championship game last time round only to end up just pipped to getting to the Super Bowl by the New York Giants, they'll be hoping for better this time around & need to start off by beating the Packers but they have somewhat controversially ditched quarterback Alex Smith for the still relatively untested Colin Kaepernick who now faces his biggest challenge by some margin. Kaepernick came into the side in week 10 after Smith was concussed & that means he's played just 7 full games yet faces off today against the Packers' turnover creating defense & has to keep pace with one of the league's best quarterbacks in Aaron Rodgers. 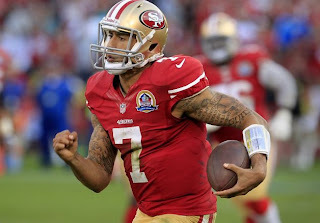 In the medium to long term we think bringing Kaepernick in is a good decision for the 49ers as he definitely has more scope than Alex Smith & has an added dimension of being a great athlete able to take off at any time with the ball, however in the short term it could prove costly here as this is a team that were championship contenders with Smith & his experience & decision making could have been crucial especially as they remain foremost a hard running, hard defense team. Frank Gore is the 49ers star attacker & he put up his 6th 1,000+ rushing yards season this time around, the fact that 4 of his 5 lowest rushing games of the season coincided with the 4 losses San Francisco sustained shows just how important he is to the team. The Packers are only average at stopping the run & it's surely the 49ers best chance of success as even if Kaepernick is on his game he doesn't really have a lot of targets to pass to & seems to have somewhat zoned in exclusively on Michael Crabtree in recent weeks, top tight end Vernon Davis has gained just 6 receptions in their last 6 games. Of course the 49ers' greatest strength is on defense where they are a tour de force against the pass & run, ranking 2nd in points conceded per game (just 17.1), the leader is 2nd season linebacker Aldon Smith who came up with 19.5 sacks but the whole front 7 are outstanding & almost certainly the best in football at the moment. The Packers' offensive line has been a weakness for some time & that 49er pressure is going to mean Rodgers will get repeatedly hit in the game, yet he's been used to that all season & yet still manages to post outstanding numbers, rarely panicking & throwing poor passes whilst under intense pressure by defenders. Rodgers seems to know when to take a sack too which remains a skill many quarterbacks still haven't acquired (Tony cough Romo cough! ), he's got a great set of receivers to pass to & if he can escape the pressure he'll make some big plays in this one with so many 49ers on pass rush. 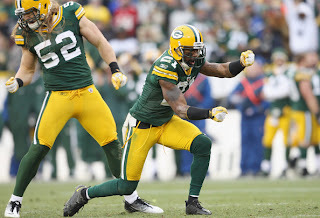 Randall Cobb has really established himself in his 2nd season & got 80 receptions on the year, staying as Rodgers' most dependable receiver all season, Jordy Nelson is back & fit after missing a couple of games & James Jones will be looking to add to his huge haul of 14 TD receptions - they can definitely hurt San Fran. The Packers' key players in this one may however be on defense where they need to force Colin Kaepernick into making the mistakes that will finish the 49ers. A.J. Hawk & Clay Matthews will put him under pressure & they now have their outstanding veteran cornerback Charles Woodson back to make the plays in the backfield, he made a real difference against the Vikings last week & may prove crucial here. The 49ers were our pre-season pick to make the Super Bowl for the NFC but we're abandoning them here as we see Rodgers v Kaepernick as pivotal & we have to side with the proven quantity, take Green Bay to win as 13/10 outsiders.